In this month's issue of Big Thrill, Anne Trager answers Kay Kendall's questions (listed below) about translating the Winemaker Detective series. Go here to read the answers. 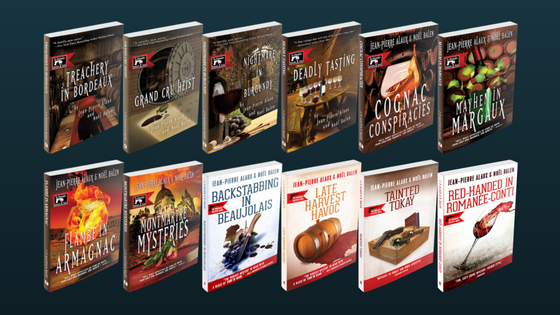 Each book in the Winemaker Detective series is not only a mystery but an homage to wine and the art of making it. Has the series’ growing number of international readers begun to influence the mysteries’ plots? Do Alaux and Balen themselves read English well? If so, do they ever quibble with your translations in any detail? As the translator of the Winemaker Detective series, you are responsible for bringing these mysteries successfully across the Atlantic to American readers. What are the challenges you have faced in bridging the two cultures in your translations? You are an American by birth but have chosen to live in France for more than two decades. How has that influenced your choice of books to introduce to the United States? 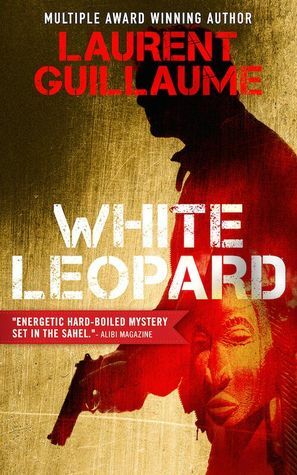 Is there a difference in how American and French readers respond to these mysteries? Do different aspects of the novels appeal to one culture more than another? Benjamin Cooker is the winemaker turned sleuth and his assistant is Virgile Lanssien. How would you characterize each of them and what is their working relationship like? You have described this series as cozy. How do you balance the need for drama with the need to keep the plots on the far side of gory? Will there be Beaujolais Nouveau this year? This year, November 19 is Beaujolais Nouveau Day around the world—the day the year's new wine goes on sale. Why that day? In France, the law says that appellation d'origine contrôllée (AOC) wines cannot be sold before mid-December. But in 1951, Beaujolais vintners made a fuss and the regulations were loosened so that primeur wines from the region could be sold a good month before other AOC wines. That and some good marketing led to the global phenomenon that Beaujolais Nouveau has become. 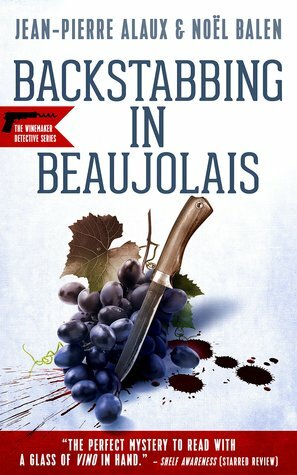 With Backstabbing in Beaujolais coming out just in time, Jean-Pierre Alaux and Noël Balen tell us some more about the wine. Beaujolais could, in some ways, be considered a minor wine, without any great aromatic complexity. Some may even go so far as to say that its only merit stems from the name of a town in the region of Beaujolais: Saint Amour, or Saint Love. How can any region with a town named like that attract animosity? Of course, in France and around the world, Beaujolais is much more than that, and it has a day all to itself when the wine is celebrated around the world. In Toulouse, they may prefer a Gaillac primeur, and there are other regions trying to get a piece of the action: Côtes du Rhône, Tourraine. You also find vino novello in Italy. But it's Beaujolais that is celebrated from from Paris to Tokyo and New York to Berlin. Everyone, there are different descriptions of its aromas—sometimes you'll hear about bananas, other times cassis, or wild strawberries. But in the end, it doesn't really matter. What does is the celebration. We owe the worldwide renown of Beaujolais Nouveau to a single man with fine understanding of marketing: Georges Duboeuf. He produces up to thirty millions bottles of it every year, flooding markets in France and abroad. He and his two friends Paul Bocuse and Jacques Troisgros knew how to talk about Beaujolais in very flattering terms. And in the end, the wine has a reputation that has little to do with its intrinsic qualities. Don't miss this month's book giveaways.